Baal’s King of Evil! July 11!! 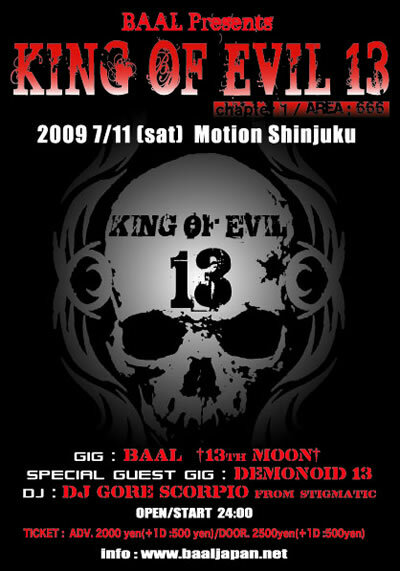 Baal crawls out for another attack on your adrenal glands with the hellatious Demonoid 13 and 13th Moon. 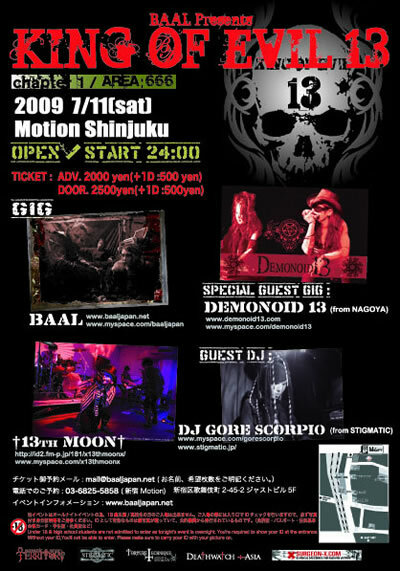 All at Motion Shinjuku (Just next to Marz). Igor has one word – AWESOME!